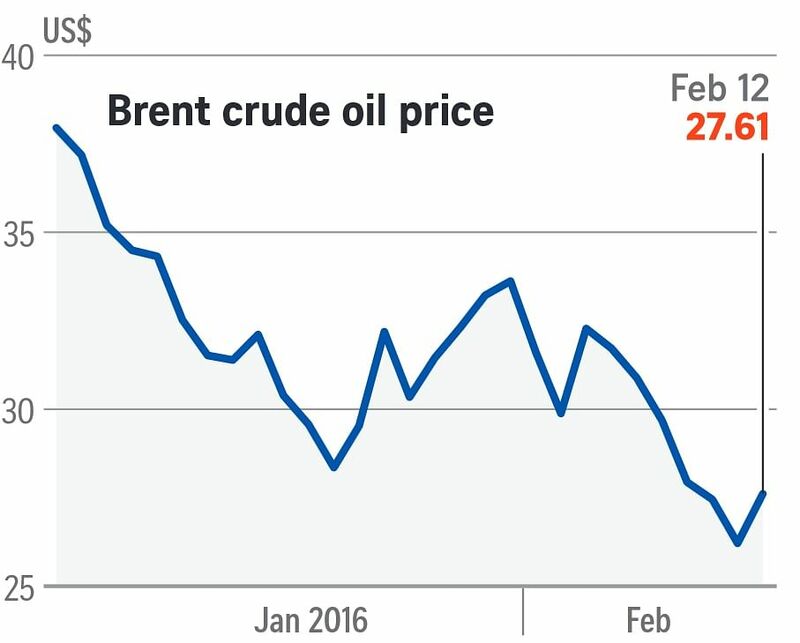 Crude oil prices fell to 12-year lows this week, exacerbating concerns that the profits of energy firms will be hit hard, which in turn could hurt the banks from which these firms have borrowed heavily. However, oil prices jumped more than 5 per cent yesterday after comments by the United Arab Emirates that the Organisation of Petroleum Exporting Countries was willing to cooperate with other producers on making cuts to production. In Japan, the strengthening yen caused traders to punish the stocks of exporters and raised worries that the economy would be derailed by disinflation - a general slowdown in the rate of increase of the price of goods and services. A move by the central bank last month to adopt negative rates initially lifted the markets but has failed to sustain investor approval, with many now worrying that rates below zero would hurt the banking sector. China's economic slowdown has been an ongoing concern, contributing towards market volatility since the start of the year. 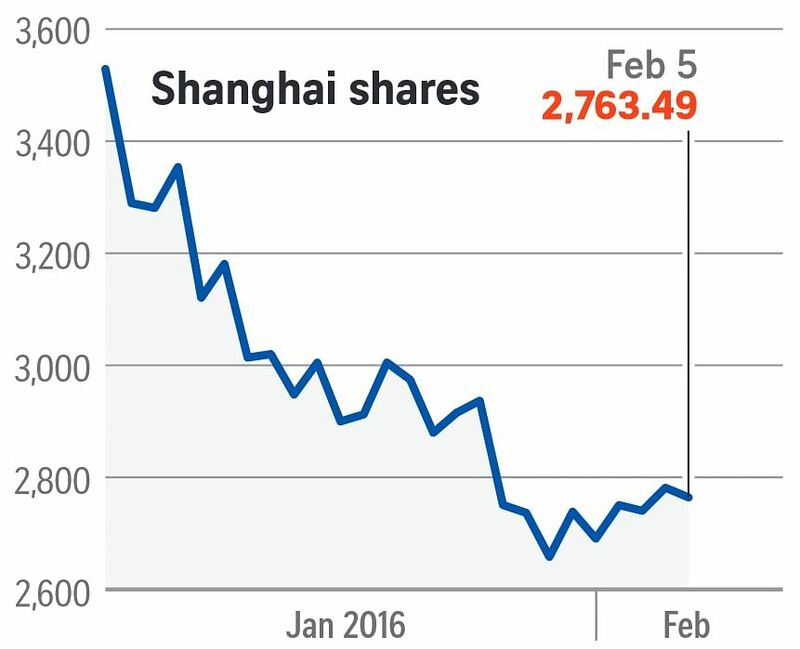 With the Shanghai markets having been closed this whole week, analysts say a fresh wave of bloodshed could be unleased if traders on the mainland decide to join in the global sell-off next Monday. Concerns about the United States economy are creeping back into the markets, after Federal Reserve chair Janet Yellen said earlier this week that she is looking at ways to "be prepared" for a recession or another financial crisis, brought on by the current stock market volatility, possible financial sector stress and slowing economic growth. Europe's banking sector is under the spotlight as many years of easy monetary policy, marked by record low interest rates, have started denting bank prots, throwing up weak earnings reports and a rise in non-performing loans. In South Korea, shares were hit by Seoul’s decision to shut down the Kaesong industrial park, run jointly by the two Koreas, and located just inside North Korea. There were 124 South Korean companies employing about 55,000 North Koreans at the park. 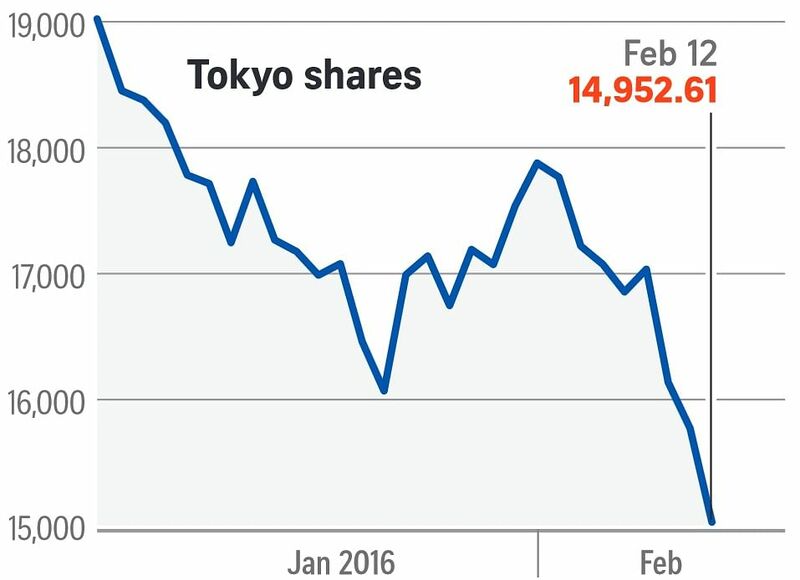 Shares of several leading companies in the industrial zone plunged on the news, with Romanson diving 8.8 per cent.